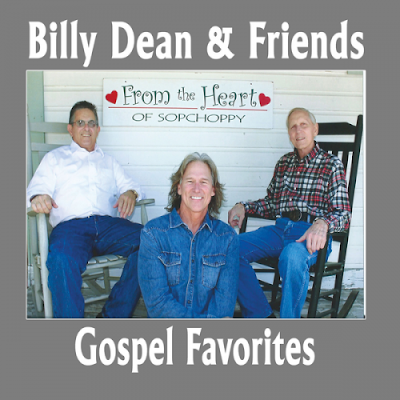 Lovin' Lyrics Music Promotions: BILLY DEAN RELEASES DEBUT GOSPEL ALBUM - "BILLY DEAN & FRIENDS: GOSPEL FAVORITES"
BILLY DEAN RELEASES DEBUT GOSPEL ALBUM - "BILLY DEAN & FRIENDS: GOSPEL FAVORITES"
Today, country music's Billy Dean announced the release of his first-ever Gospel album, Billy Dean & Friends: Gospel Favorites. The new collection of songs is available for download now at iTunes and Amazon. Dean made the decision to record his debut Gospel album after recently moving back to his home state of Florida. "I was so moved after being inducted into the Florida Hall of Fame that I decided it was time to move back home," explains Dean. "I was visiting my good buddy T.K. Wetherell, the former president of Florida State University, when he challenged me to record a Gospel album, which I had never done before. I agreed to do it if he would agree to record one song with me." Wetherell agreed and the two booked a studio session in Sopchoppy, FL where the former FSU president lended his voice, reciting Kris Kristofferson's classic, "Why Me Lord." Dean added the Tallahassee Boys Choir to the track and the first album cut was complete. "It became apparent to me this project was very important to my friend T.K. as he is battling prostate cancer," notes Dean. "A Gospel project seemed to be a welcomed distraction, so I decided to complete the album using all Florida musicians and studios for convenience for my friend." The ten track album also features contemporary Christian artist Susan Ashton and Dean on the classic hymn, "In The Garden." Additional songs include "What a Friend We Have in Jesus," "I Saw the Light," "Old Rugged Cross," and a Gospel version of Dean's 1992 hit, "If There Hadn't Been You." Dean adds, "I want to thank my other Florida musician friends such as Brent Rader, Jeff Gargiulo and Marvin Goldstein for helping me complete my first Gospel album. A little music is medicine for the soul. And for my pal T.K., I dedicate this album to you and your wife, Ginger." Backed by the Music City Connection and Governor Mike Huckabee on bass guitar, Dean performed "If There Hadn't Been You" on this past Saturday's edition of Huckabee. on TBN. Watch HERE.